To claim this profile, please confirm you are Tanner Day. To follow this profile, please let us know your relationship to Tanner Day. RESULTWin Varsity baseball @ Southeast. The Heights varsity baseball team won Wednesday's away conference game against Southeast (Wichita, KS) by a score of 28-0. The Heights varsity baseball team won Wednesday's away conference game against Southeast (Wichita, KS) by a score of 15-1. RESULTLoss Varsity baseball vs. Dodge City. 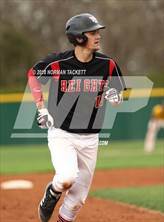 The Heights varsity baseball team lost Monday's home non-conference game against Dodge City (KS) by a score of 8-7. The Heights varsity baseball team lost Monday's home non-conference game against Dodge City (KS) in extra innings by a score of 5-4. 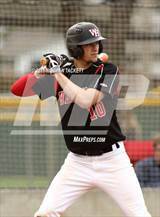 The Heights varsity baseball team lost Friday's away conference game against West (Wichita, KS) by a score of 10-0. 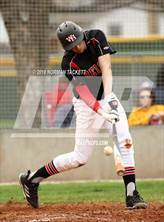 The Heights varsity baseball team lost Friday's away conference game against West (Wichita, KS) by a score of 9-2. The Heights varsity baseball team lost Monday's home conference game against rival school Bishop Carroll (Wichita, KS) by a score of 11-0. The Heights varsity baseball team lost Monday's home conference game against rival school Bishop Carroll (Wichita, KS) by a score of 15-0. RESULTWin Varsity baseball vs. North. The Heights varsity baseball team won Monday's home conference game against North (Wichita, KS) by a score of 20-10. The Heights varsity baseball team won Monday's home conference game against North (Wichita, KS) by a score of 8-2. 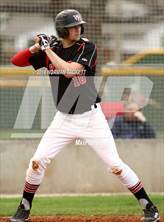 The Heights varsity baseball team lost Wednesday's away conference game against East (Wichita, KS) by a score of 10-3. 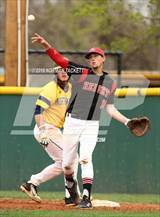 The Heights varsity baseball team lost Wednesday's away conference game against East (Wichita, KS) by a score of 5-4. The Heights varsity baseball team won Tuesday's home conference game against South (Wichita, KS) by a score of 17-0. 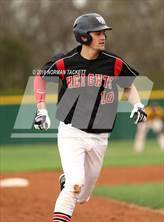 The Heights varsity baseball team won Tuesday's home conference game against South (Wichita, KS) by a score of 10-0. Tanner has been added to the Heights baseball roster. 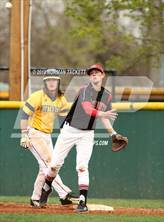 The Heights varsity baseball team lost Friday's neutral playoff game against rival school Bishop Carroll (Wichita, KS) by a score of 10-4. This game is part of the "2018 KSHAA Baseball State Tournament - Class 5A". Tanner's baseball stats have been updated for the win vs. Maize.